WELL here we are again…for those of you with interest… I do seem to be improving but not as fast as I’d like and not sure if I will still need another round of meds. 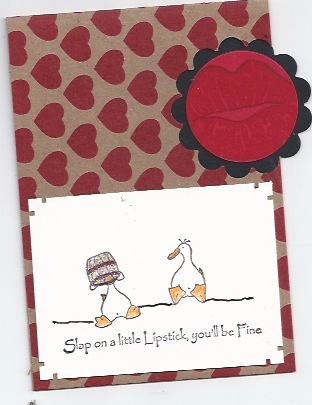 But on to the fun stuff… I got this card from my friend, STEPHANIE’S daughter TANA LEHMAN. 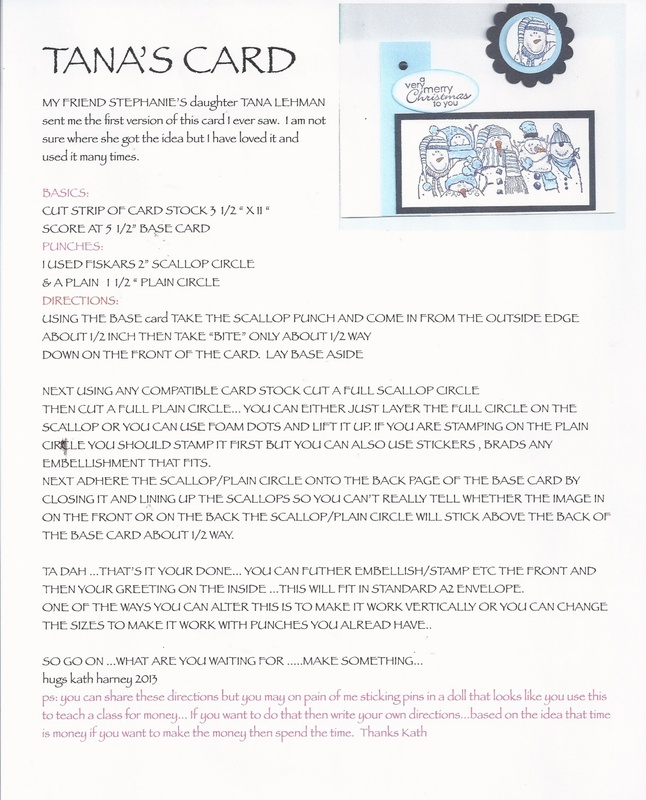 I wrote up these directions and think you will be able to copy the sheet with the photo from your end. SO if I was going to name this I’d call it the BITE CARD..using that scallop circle you take a bite out of the front of the card… then you punch a whole scallop circle and then a plain circle and glue them together then you fit the complete circles into the bite marks on by closing the card and adhering it to the inside back of card. 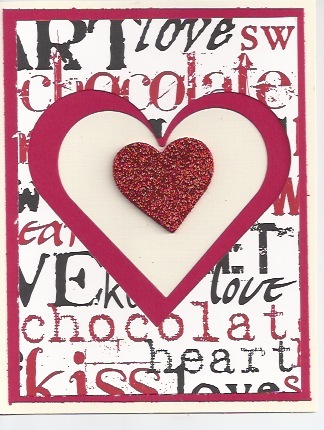 Well I just love it there are so many things you can do with it and the circle allows for lots of embellishments, such as stickers, foam stickers, brads, buttons or just stamping. 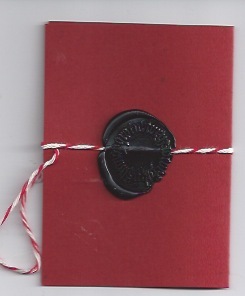 You can also alter the size of the circles and also the size of the card… Then just to switch things up I can never follow a recipe or a pattern exactly as its given…just ask my auntie …lol… I also tried making it vertically with the bite ending up on the side like this one. 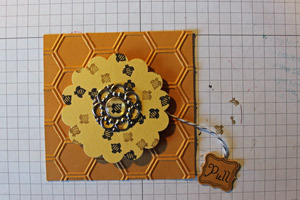 Then because I am sure someone will ask …I recently found this punch at such a bargain I had to buy it so I tried using it..since the punch is actually designed to make a boarder rather then a solid image it was tricker to do and I am not sure I liked it as much as the circles , however, you could also do ovals or squares…and I am sure it would work and look just fine. You may not be able to tell but I did enlarge the card size to 4 1/4 x 11….scored in the center… It works but I like the 3 1/2 x 11 better…but as I said try it your way…we are just like Burger King here only calling it CARD KING…LOL.. so do it your way and as always I will beg to have you share and you know if you don’t want your name on it that’s fine I’ll honor your request. 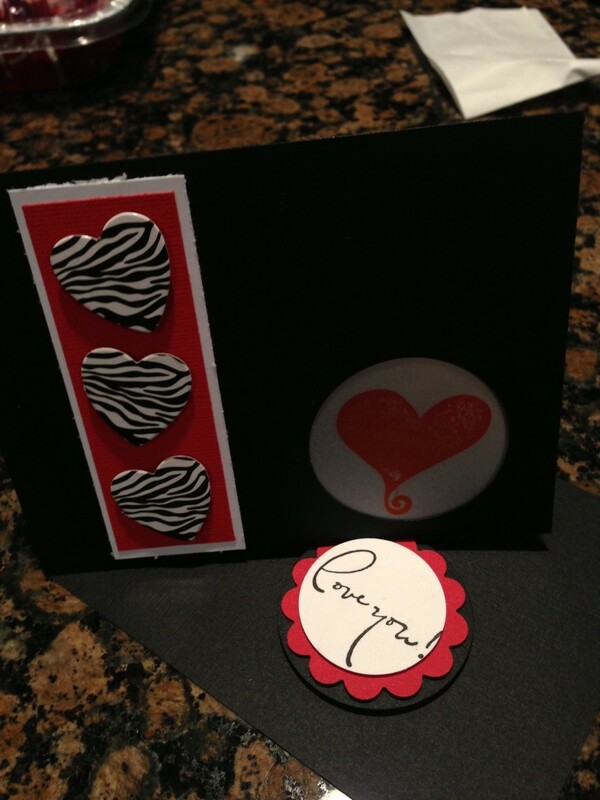 So quick , simple and impressive…we can call these a QSI card…and like many of the others you can cut and score them and even punch them ahead of time the you only have to fill in the inside and the circle front can just be layered paper if you like with a brad or two for fun..
GREETINGS AGAIN…I want to apologize for the long delay in posting and to tell you that there may still be gaps … it seems that even though I had the shot … I have according to Dr a mild ( doesn’t feel so mild) case of the SHINGLES… I can tell you that for a week or so before I had sore muscles at least that’s what it felt like then suddenly I had a horrid rash …needless to say its both sore, itchy and hard to sit or even lay without making it worse so I am not able to spend much time at the computer. I had put most of this together right before I went to Dr.
ALSO one more time…. if you want to suscribe you must click the home button on left then on right is place to suscribe with personal e mail address… not business…also NO I AM NOT ON TWITTER NOR FACE BOOK and dont’ intend to be… this is it my friends. 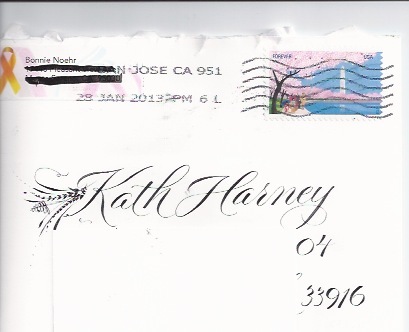 This little piece of art arrived in my mail box recently from my friend/teacher Brigitte Heffernan…She is a master at Pointed Pen lettering styles and the feathers at the left of my name are also hand drawn…I am such a lucky girl!! Thanks Brigitte. As if I am not lucky enough, some days I just soar!! 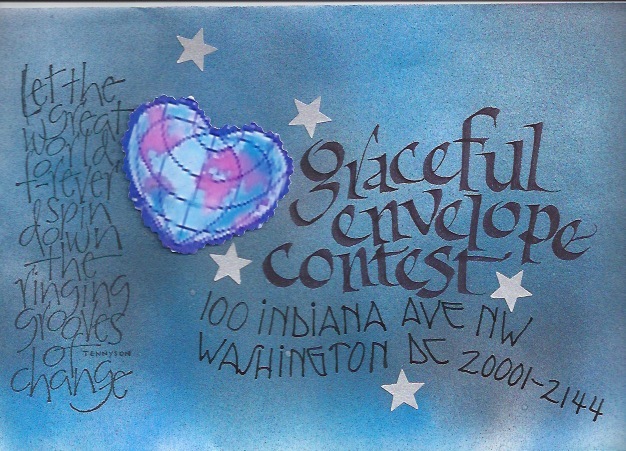 I also received this lovely little envy and the enclosed valentine from my friend Bonnie Noehr and she is also a master at pointed pen lettering and making tiny cards…just feast your eyes on this envelope then the tiny card that was enclosed. As if all of that wasn’t enough yesterday I got this incredible e-mail from a friend. She was referring to the e-card I sent her and she just cracked me up with praise and so I just wanted to share with you my favorite THANK YOU so far. 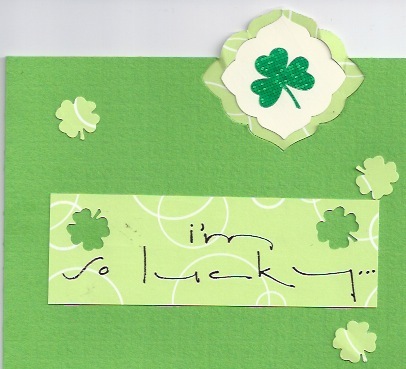 I did mail her a snail mail real card today one with a wobble in it…lol…She and I are two of a kind and remember ITS THE CRACKED ONES THAT LET IN THE LIGHT! Thanks Joanne <3. 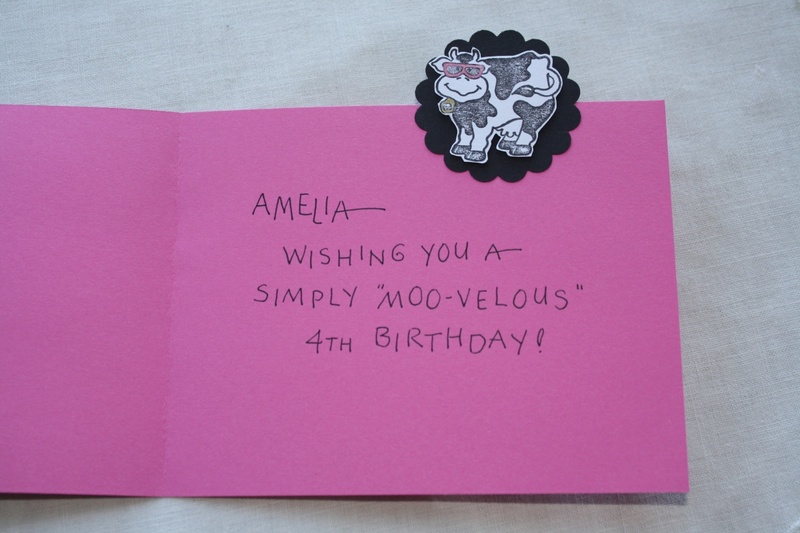 Thank you so much for the birthday card I got in the mail! 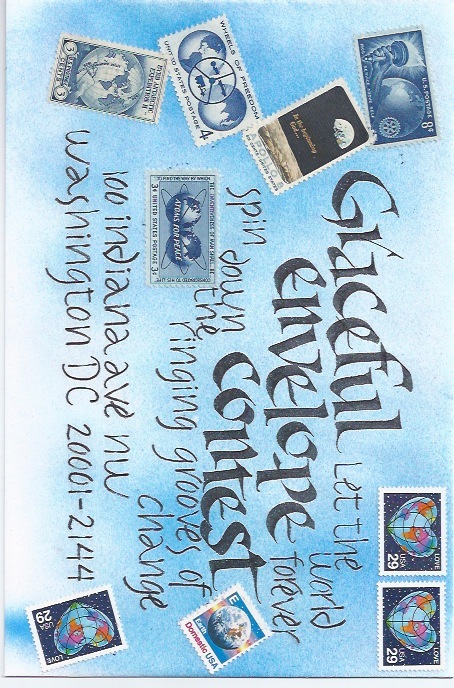 Here it is a couple days later and I realized that, while when I received it, I beamed in glory and the heavens opened up, and the angels sang, sometimes YOU may not get that vibe because of, oh I don’t know, satellite interference or something, so I thought I had better let you know that I beamed and my heart filled up! 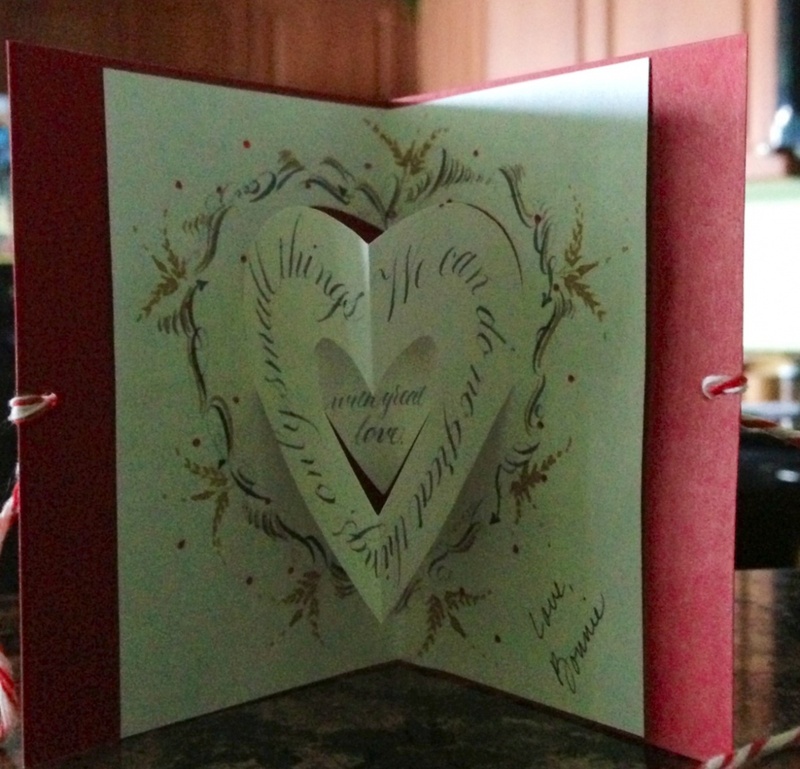 Janis used an embossing template for the background then also she die cut assorted hearts and layered them each one using foam tape… It was great…I have to also tell you that she taught this card to class of 35 men and women… I am so impressed. 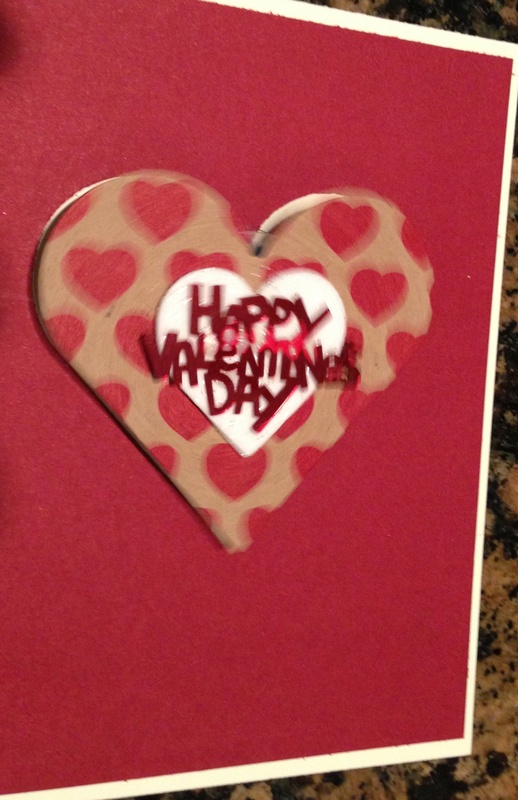 You can’t tell from this photo but it is that card that forms an easel and will stand when open. Way to go Janis. 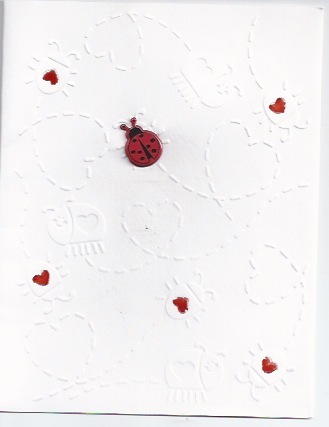 This card was made by my BFF PAMELA O’NEAL.. and she was so worried about sending it but I just love it…she embossed using a template of lady bugs and then only colored in a few of the hearts and then used a small brad of a ladybug for the main focal point… FANTASTIC..
Ok my favorite stamp store IMPRESS RUBBER STAMPS..sent me an e-mail for some upcoming classes and this was one of the ideas they displayed. I am not sure how its done but it looks like it might be watercolor paper sewn together and only lightly stuffed with filling. BUT ( maybe at this point I should share with you the fact that I can almost NEVER FOLLOW A RECIPE OR A PATTERN exactly as it shown.) 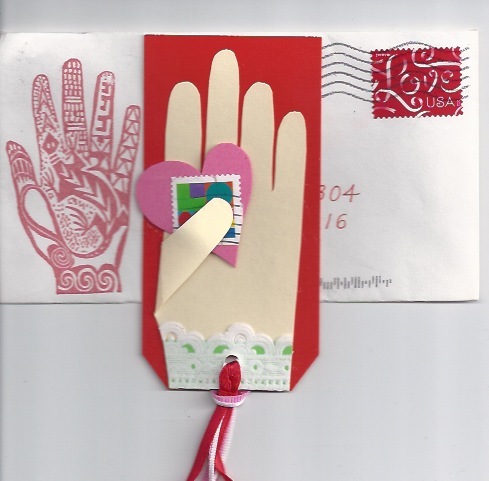 I think you can use HEAVY WEIGHT watercolor paper or cardstock and stamp them up as hanging valentines…or you could layer some of those hearts from the nestibilities dies in the previous post. 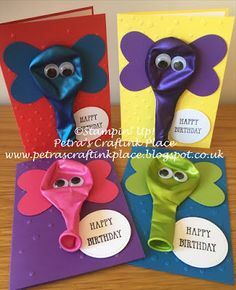 You don’t have to make them valentines they could just as easily be a birthday card or get well pillow..I just thought they were very clever. Just a thought …let me know if you try it. Well that’s it for now… don’t give up on me but it may still be a while before I am back to my old self. 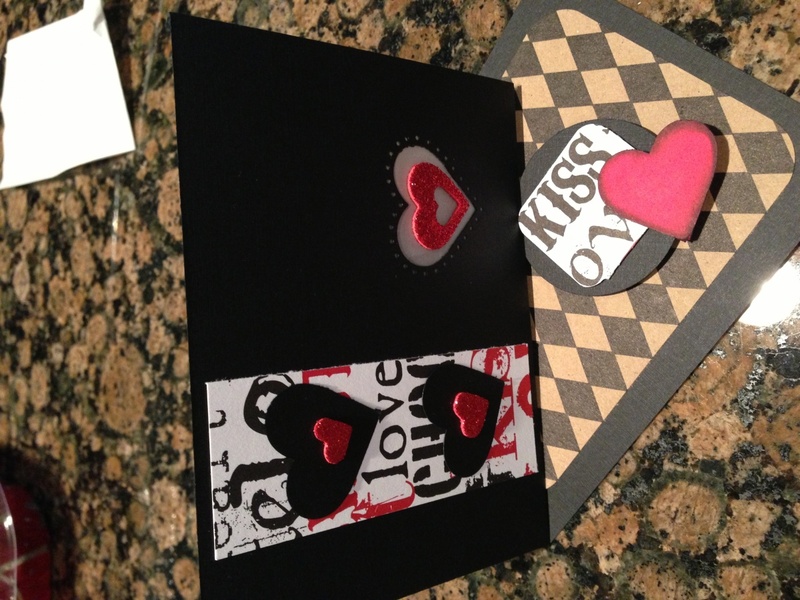 I love making valentines and I loved the look of this one… HOWEVER..let me tell you that the die cuts of the hearts that I have are nestibilities I think and mine don’t nest just like her’s since her’s are the ones sold by STAMPIN UP. 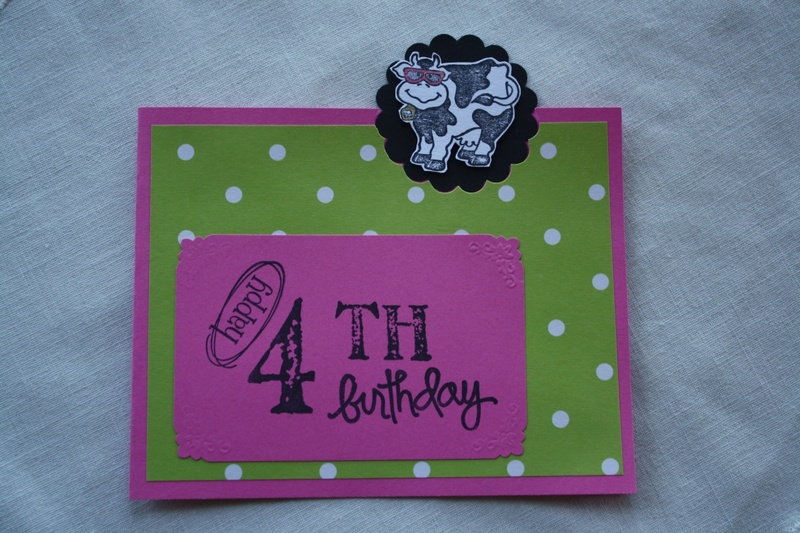 It took me quite a few cuts to try to get it so that it layered nicely …however, don’t give up, even the ones that I cut that didn’t go together as well as I would like were still usable since you could choose to only put one layer on each card…and then I used some of the smaller punchouts to put in the center. 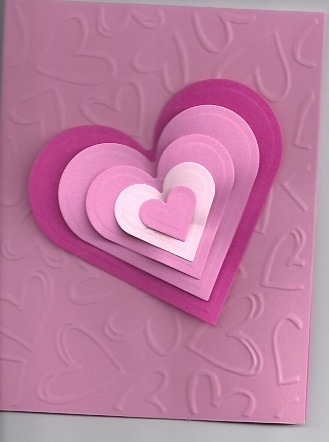 So what I am saying is use what you got and don’t throw those hearts away cause you can use them on a different type of card. I am going to show you a few of the samples here that I have been working on and also you will note that they are not all THE SAME TYPE. 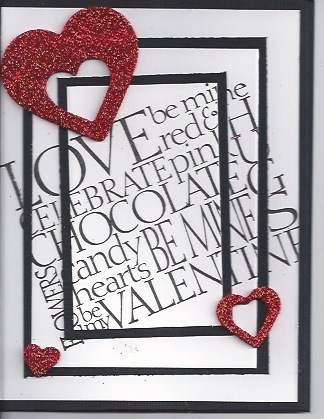 I also made some up using card patterns that I have shown in previous blogs so go hunting for that pattern then alter it to be a valentine… think OUTSIDE THE BOX.. This one I remembered to use foam dots to lift it up and then I used a plastic button that I tied the string thru the two button holes….. I really liked this one. 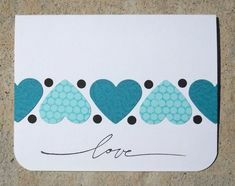 Using the foam dots makes all the difference plus I went with smaller size hearts and they lined up better. 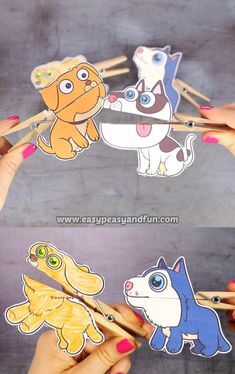 This idea is using the triple layer card which I shared a few posts ago. 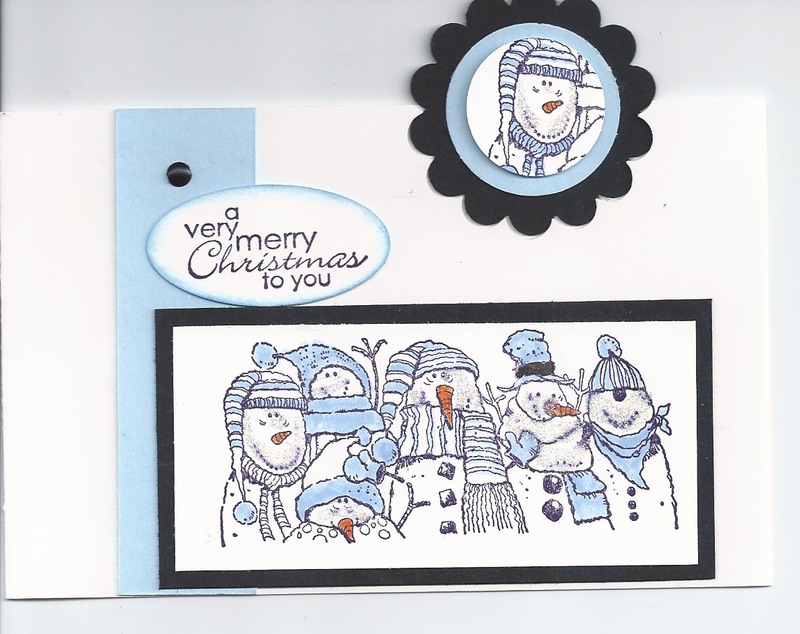 You cut all three layers in white or off white or a color if you choose then layer them together with REMOVABLE TAPE centering each piece and then do your stamping so that it touches all three layers at least on one side. 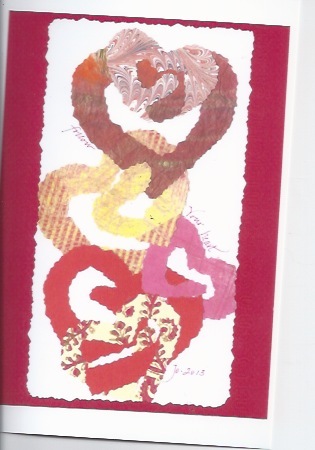 Then using the actual card as the base cut two more layers 1/4 inch bigger than the first pieces and l gently pull the layers apart and insert the colored background pieces and then adhere each layer PERMANENTLY. 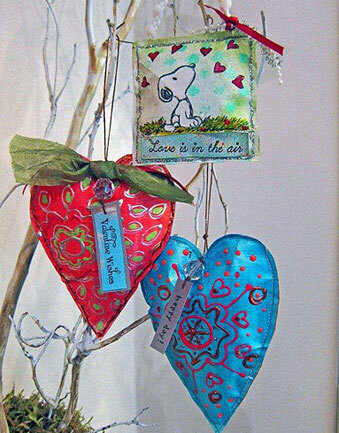 These are most impressive and I used a large heart brad on one then on the flower one I painted them with red TWINKLING H2O’s and two very tiny heart brads to hold the ‘i love you’. 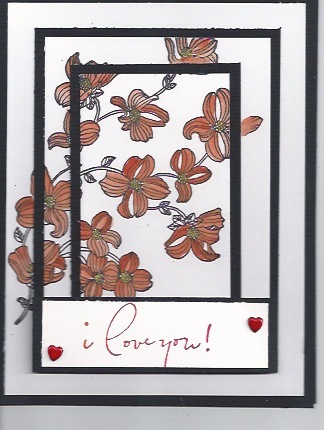 Go now and look at your bigger stamps and see what comes to mind…the large flowers with the red heart brad I stamped them twice to cover more of the card since it was tall and narrow. You’ll be amazed at what you might come up with. Oh, this word stamp was a HERO art stamp. 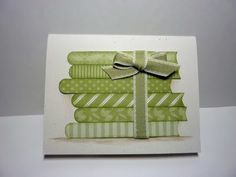 Ok these last two samples are from the DAWN’S PEEK A BOO EASEL card which I posted back in November or December. I still have a few of those little battery votives and I just can’t resist using them. 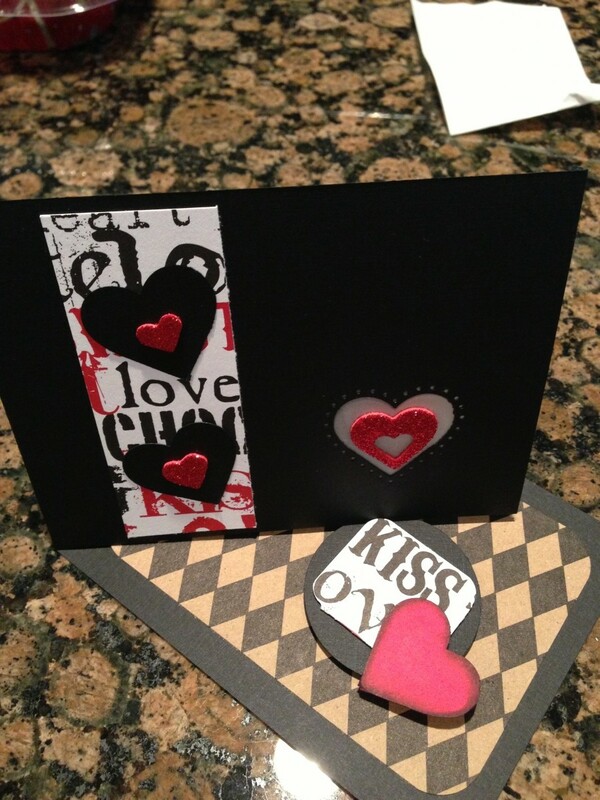 Also you may have noticed that I am currently in love with BLACK card stock. 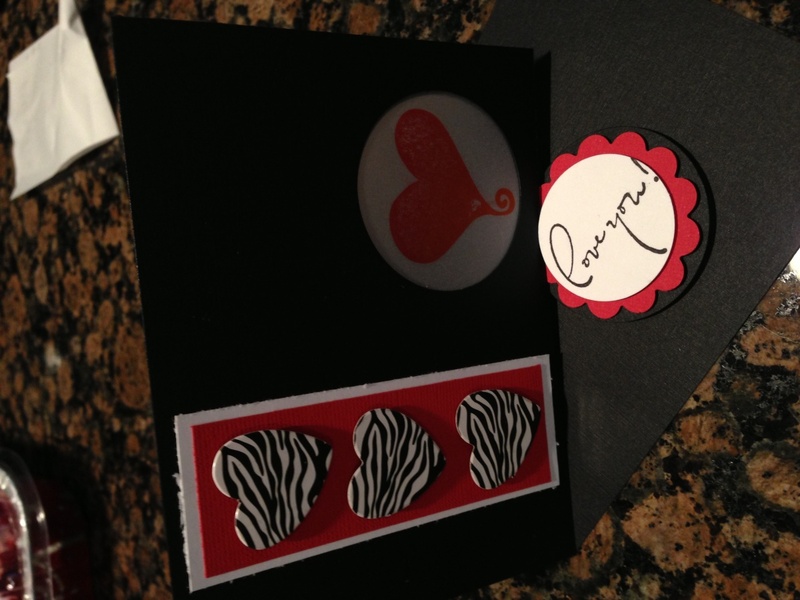 I just love black and white and red together. In trying to get the ‘i love you’ to show up this one is a little dark… but this next one I think shows up a little better. 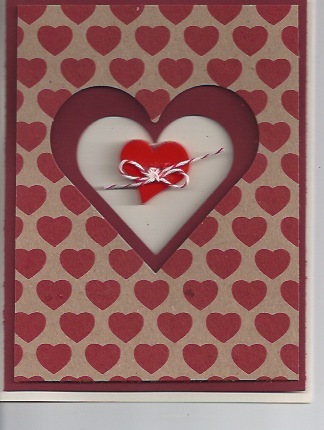 This last one is using those cute little WOBBLES on some of the die cut hearts that were the positive pieces that came out of first cards above. Then I found some confetti that said HAPPY VALENTINE’S DAY and glued that onto a white heart then on the top of the WOBBLE HEART. 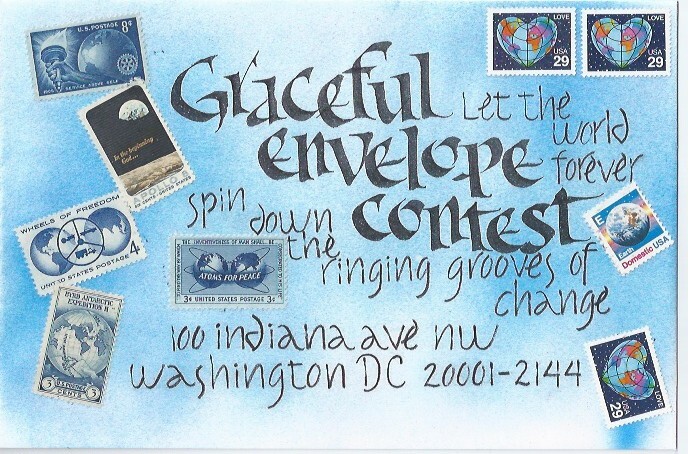 You can get all the wobbles from IMPRESS RUBBER STAMPS. I think you get about 6 for $3.50. I just keep buying them…and finding new ways to use them…ps its blurry cause its wobbling..lol.